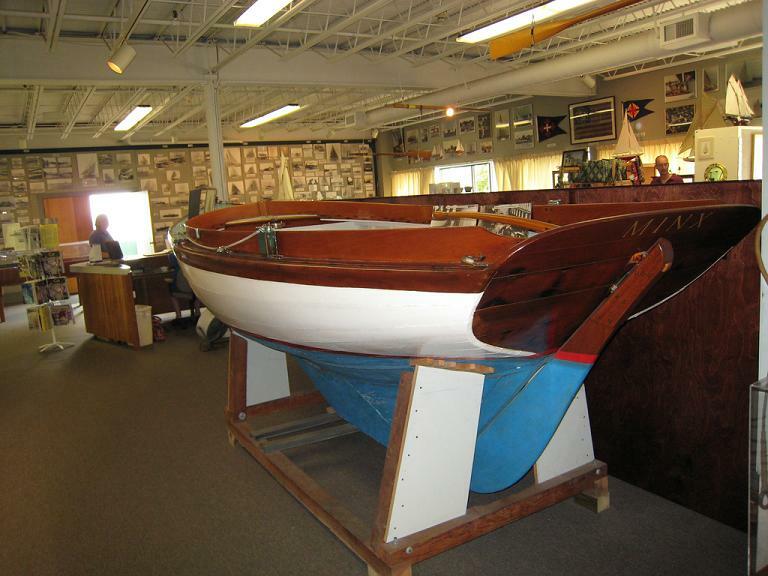 This boat was at the Herreshoff yard when damaged by the 1938 hurricane. This is why the port-side coaming is pieced together - it was broken horizantally by the storm. She was purchased by Becky Herreshoff and re-built by Sydney Herreshoff for sons Nathanael and Halsey to learn to sail in. It has 2-piece seats and chromed bronze hardware. It was donated to museum in 1981 by Owen E. Brooks. This one is a real mystery, because the building record states that hull 1376 was not built. However, it was part of the factory mixup where the actual assigned numbers did not match the records. According to John Palmieri of the Herreshoff Museum, this is NOT the actual hull number of Minx. He believes they found this plate lying around unused (as it would be if the corresponding hull was never built), and simply attached it to Minx, which was missing it’s plate.